Maroubra Synagogue takes orthodox Jewish teachings and traditions, inviting them into a vibrant environment, showing how they remain relevant and enhance how we support one another in a true community. We share a love of Judaism and support for Israel. Our community caters for all ages, which special youth services and regular learning opportunities for adults a feature. We welcome visitors, regular and occasional participants and new members. Maroubra Synagogue is linked to Mount Sinai College through the work of Rabbi Yossi at the school and the young families who attend services. The two organisations also combine to bring a Shlichot program to work with the young children through to the teenagers, with the support of Bnei Akiva. The community offers a new function facility with a commercial kitchen attached, along with other modern facilities. Located in Sydney’s south east, we have just erected a new eruv that is connected to the established one in the east. We are a registered not-for-profit. Donations are tax deductible. The shul at its heart is a vibrant, relevant community. A community which is proud, in touch and knowledgeable of orthodox Judaism, supportive of Israel and caring of each other. Engaging the Jewish community through welcoming, caring and inspiring services, educational opportunities and events. Orthodox Judaism, Community, Love of Israel, Education, Communication, Welcoming Environment. Maroubra Synagogue was established as the Kingsford Maroubra Hebrew Congregation; built more than 60 years ago by Holocaust survivors as an act of faith, belief and defiance. These qualities, instilled by the founding families, continue to set the tone of a community that is aware of its past and at the same time embracing of its future. We have established a reference library for members to access, to read about the history of the community, not just locally but as a whole for the Jewish people. The congregation has grown over the years and the buildings accordingly have undergone several upgrades. Most recently, in 2015 the hall, courtyard, kitchen and bathroom facilities were rebuilt. The administration area was also renovated. 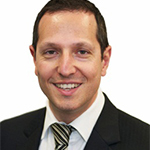 Evan has been a member of the shul since 2008 and joined the Board of Management in 2009. Evan previously held the position of Vice President having served also as Treasurer and as a member of the Finance Sub-Committee. Evan is married to Lauren, together they have 3 children all of whom attend Moriah College having previously attended Mount Sinai College. Evan qualified as a Chartered Accountant in South Africa and is the CFO of a manufacturing/export company. Tommy and his family joined the synagogue in 2009. He joined the Board of Management in 2011 and he is presently the vice president of the shul with a focus on the renovations project and the proposed eruv. By day Tommy is a senior lawyer at international law firm MinterEllison. 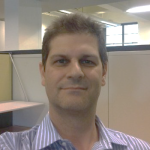 Anthony grew up in Maroubra and joined the Board in 2014. Anthony is married to Miriam, they have two children, now in high school, who previously attended Mount Sinai College. Anthony has his own communications and marketing agency, CommTogether, working with small businesses, but with a particular speciality in assisting not-for-profits, to grow their brand and build their audience. 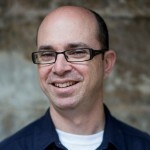 His communal clients include Jewish House, Youth 2 Israel, Shalom, JCA and the Australian Jewish Historical Society. He was also part of the organising committee for the inaugural Shabbat Project. 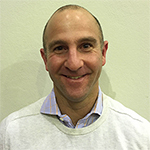 Ben has been a member of the shule since 1998 and joined the Board of Management in 2004. He is currently a member of the Youth Sub-Committee, as well as the Communications Sub-Committee. During the day he works as the IT Manager for the Australian Society of Anaesthetists. 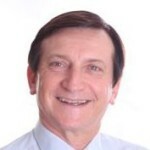 Ron Hoenig is the State Member for Heffron in the New South Wales Parliament. He previously served as the Shadow Minister for Energy, Shadow Minister for Ports, Shadow Minister for Emergency Services and Shadow Minister for Heritage. He has been on the Board since 2013. He was elected to Parliament in a by-election on the 25 August 2012. Prior to entering Parliament, he was the Mayor of the City of Botany Bay, a position he held continuously for almost 31 years. He was and still is, regarded by many as one of the most progressive Mayors in the Sydney metropolitan region. He is a barrister and, prior to entering parliament, was a Public Defender for the State of New South Wales. Having grown up in South Africa, and then spent 13 years in London, Justin, together with his wife, Bertha and 2 children moved to Sydney in 2015. Having served as Gabbai at his shul in London for several years, Justin was immediately attracted by the warmth and down to earth nature of the Maroubra kehilla. He joined the Board in 2016 and is particularly focused on the Youth and events. Justin works as CFO for Capsifi – a Business Architecture Software Company. Anthony has been a member of Maroubra Kehilla since 2000. He is a regular at Shule, along with his wife and 2 children. Anthony is videographer and had been working with, and teaching in, film and video for 20 years. 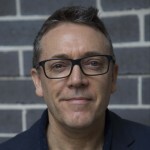 He currently manages the Photography School at Ultimo TAFE. Anthony holds Masters degrees in Art and Design, and Philosophy. Born in 1974, grow up in the Negev desert of Israel in a small town called Omer next to Beer Sheva. My parents have been active members of their communities since I remember myself; my mother being a deputy principal in the local public school and my father started going regularly to Shule since 1992 and became a celebrity for it. 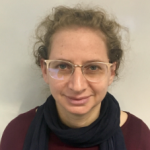 During my military service I’ve served as Morah Chayelet – a tutor to new immigrants. I’ve worked in Jerusalem and I served in two high schools. It was a rewarding and difficult job. I’ve stayed in Jerusalem for my tertiary education and completed a BA in psychology in the Hebrew University. Upon completion of my degree I met my mum’s best friend nephew who just arrived from Australia to serve in the army at the age of 26. It was a blind date. His name is Tal. After that I’ve done a course in computer programming and I’ve been in the IT industry ever since (including breaks for maternity leave and dot com collapse). We immigrated back to Australia in 2004 and resided in Maroubra. First because we couldn’t afford Bondi, and then we found out that we made a great deal with a Shule and a School so close and with such a great community. I am a mother of 3 kids: My oldest daughter Noa had graduated from Mount Sinai College in 2014, my middle child Merav has graduated MSC in 2017 and my son Ido has started in 2018. We belong to this school and this Shule and this community. I am thrilled by the honour to be appreciated by this community. Bryan is originally from Johannesburg South Africa. He grew up in a close knit Jewish community, being a member of the Linksfield shule for many years. He immigrated to Australia in 2002 where he met his wife and together they have a daughter. 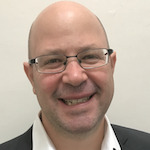 Bryan is a regular at shule and joined the board in 2018. 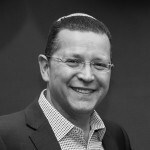 Daryl has been a member of the Shul since 2006 when he moved into the area and joined the Board of Management in 2008. He served as a Vice-president from 2009 and was elected President in 2013. Prior to becoming President, his primary focus on the Board was managing the general security and the interaction with the Communal Security Group. Since becoming President, Daryl has overseen major renovation works of the complex and the appointment Rabbi Yossi Friedman in 2015. 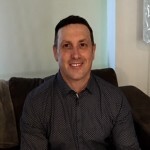 During the day he works as the Program Management Office Director on large transformation programs within the Transport for New South Wales cluster of Agencies. Rabbi Yossi Friedman leads the community and is ably supported by a team of hard working staff; including Administrator, Heidi Baltineshter and our Office Support Eva Grosin. They assist families with all their needs including the co-ordination of their functions. Maroubra Synagogue offers a wide range of Children’s programmes, catering for all age groups. Regular program run every Shabbat, starting at 10.45am. They are run by a group of dedicated volunteers. We incorporate tefillah, games, stories and activities relating to the Chag or Parsha of the week into our service. * Tots Program for 1-5 year olds* Torah Club for 5-7 year olds* Boys Mentoring Program for 8-12 year old boys* Teen Scene for all teenagersWe also welcome Bnei Akiva to our community once a month. The Bnei Akiva madrichim run a host of different tochniyot for all age groups, including a very popular Teen Lunch! If you would like further information regarding youth services, or would like to volunteer your services, please contact the Shul office for more information.